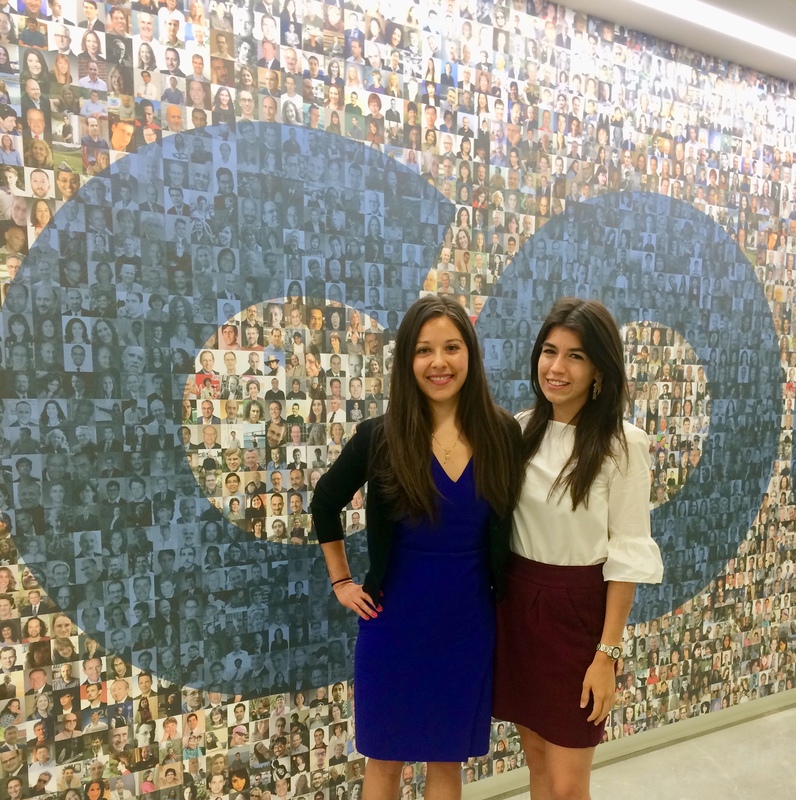 We are April Soler and Angela Romero, the founders of the HOLA Employee Resource Group at Coursera. Diversity and inclusion are values that are critical to Coursera’s success. We believe that Coursera should be a place where people from all walks of life feel like they belong and can do their best work as a result of it. Building a diverse company is not only a socially responsible thing to do, but it’s also good for business. Time and time again studies have shown that diverse teams are more efficient at solving complex problems and yield better business results. April Soler and Angela Romero, the founders of the HOLA Employee Resource Group at Coursera. The HOLA ERG is committed to the representation, advancement and inclusion of Latinos at Coursera. We look at fostering diversity through three lenses: First, we’ll aim to expand access to careers in technology to Latinos through community outreach. Second, we’ll strive to build an inclusive and exciting workplace for Latinos at Coursera. We’ll foster a sense of “familia” – a place where we feel like we belong and can do our best work. Lastly, with 31 million learners worldwide, Coursera’s audience represents a diverse set of communities and cultures. We’ll advocate for the needs of U.S. Hispanic and Latin American learners so we can continue to build innovative and inclusive educational products at Coursera. A special thank you to HOLA’s founding members Giovanni Dubois, Mario Chamorro, Marimar Hernandez, and Chad Meirose. Keep an eye out for our HOLA ERG blog series where team members share their stories. Want to help us grow our familia at Coursera? If you have any ideas, let April and Angela know on LinkedIn! Interested in becoming part of the Coursera team? 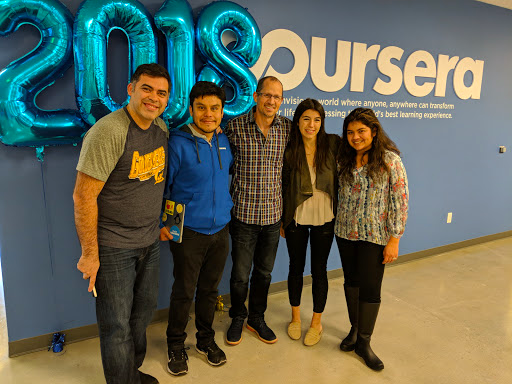 Check out our Careers Page to learn more about available positions, company values, and the perks and benefits of working at Coursera.